Shannon Bradley, aged 21, has been dancing since the age of 4. Shannon has had an excellent competitive career, wining titles around the world, including North American, British, Scottish and Irish National titles. She is also a 8 time World Champion. 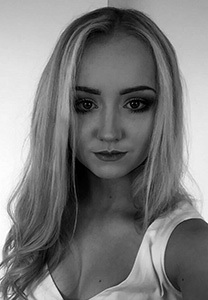 Alongside her dancing career, Shannon is studying Medicine at University. Shannon toured for 2 months in France with ‘Celtic Legends’. She joined ‘Murphy’s Celtic Legacy’ for the 2017 Cyprus Tour and continued to work with the show as Lead on its French 2018 Tour. Shannon is excited for future work with ‘Murphy’s Celtic Legacy’.